Bringing you the best in Barn Dance Music! 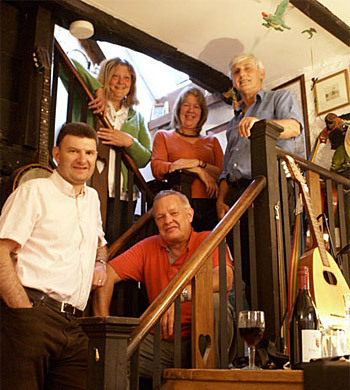 Broadband is a Barn Dance Band, based in Mid-Bucks, providing a range of English, Celtic and American music for your social occasion. Born out of its players' shared love of folk tunes that make your feet tap, Broadband will bring you driving rhythms and lively dance tunes to get your guests' feet moving too! We mostly play at parties, wedding receptions, anniversaries, fund raising events for school barn dances, or village events where most people are not familiar with barn dancing. Contact us to talk about your event - we'd love to hear from you!